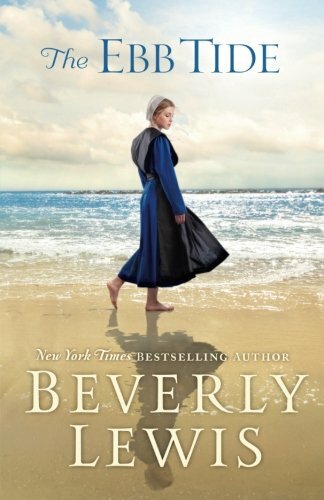 I've enjoyed every Beverly Lewis book I've read, to some extent, but some really touch me. The Ebb Tide was a beautiful story about the blessing that comes from patiently waiting for God's leading in one's life. I loved how Sallie recognized her heart's yearnings but desired to put God's will first. The patient and mature way she handled her questions was blessed in the end by family and friends who were able to see her for who God made her to be and were able to give their blessings on her choices. I also loved the beautiful imagery of a not-so-Amish place, the seaside. I've got the travelin' bug, just like Sallie, and I understand how easy it is to get caught up in dreams of visiting far-off places. I also know how easy it is to visit far-off places and am so glad my family gives me the freedom to do so. Book Description: "When friends ask Sallie Riehl to be their daughter's nanny for the summer at their Cape May, New Jersey, vacation home, she jumps at the chance to broaden her horizons beyond the Lancaster County Amish community where she grew up. It is there that she meets Kevin Kreider, a marine biology student who talks freely about all he's learning and asks about her interests, unlike most of the guys she grew up with. Sallie realizes that her time in Cape May is increasing her desire to see the world, challenging her plans for the future. Has she been too hasty with her promises, or will Sallie only find what her heart is longing for back home in Paradise Township?" I received this book free from Bethany House in exchange for an honest review.